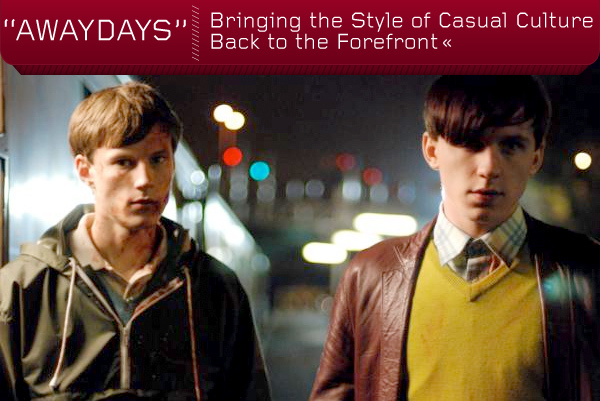 While the cinematic adaptation of the cult classic novel Awaydays may be disappointing in several areas, the film does serve as a visual catalog of retro-scene apparel, a resurgent way of dressing that's just as cool today as it was three decades ago. Inside we've broken down the motion picture catalog of style and highlighted a few of our favorites. In 1998, former Liverpool scenester Kevin Sampson penned the cult classic novel, Awaydays, a visceral tale about young football (soccer) hooligans in the late 1970s. One of the most interesting details from the era relates to how fashion was used as a significant marker of social standing. Unlike the wealthy elite, who roamed about in their designer duds, the working class youth of Liverpool, helped define an era labeled as ‘casual culture' — a style that was more relaxed, but still aspirational. With the release of the motion picture adaptation of Awaydays, I was excited to rediscover this historic era, where underground and mainstream culture converged. Unfortunately however, the filmic reconstruction (penned by Sampson himself) is a tepid, if not entirely lackluster motion picture marred by poor casting, weak character development and a lifeless plot. But despite my pessimism, I was still able to take heed of the nostalgic fashion in the film, which to my great surprise, I believe is still relevant today. As such, I thought it would be worthwhile running through some of the key trends/brands of the ‘Casual Culture' epoch and assessing how they have held up today. Without a doubt, the only constant of the era was Adidas. Violent football gangs lapped up Adidas trainers and tracksuit bottoms, donning them as if they were righteous signs of Northern English patriotism. The ubiquity of the brand was so pertinent to the scene that Liverpool in and off itself was responsible for over 30% of the UK's Adidas sales. Shoe-wise, the ‘Samba' trainer (marked by it's black exterior and cream sole) was one of the first to take flight. 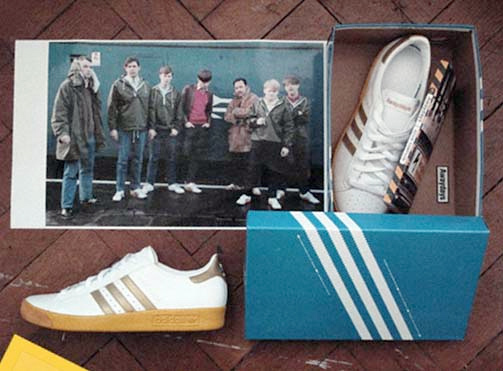 Back then, a carefully chosen Adidas shoe style was as crucial to one's image as a Malt Whiskey is for the likes of today's fox-hunting aristocracy. The familiar shoes at the time were usually coupled with a pair of tight-fitting Lois or Jesus Jeans. Worn below the waist, the popularity of these garments brought the swaggering, drug-addled, anorexic male image to the forefront of the fashion lexicon. With this, the effeminate or otherwise ‘weak' male was turned into an acceptable commodity. It is no surprise then that such a trend has undergone a recent resurgence, with men from all walks of life, striving to fit into the slim fitting cuts, which are readily available from outlets such as the Gap, American Apparel, H&M and Levi, to name just a few. Personally, one of the more irksome aspects of the ‘casual' generation was the popularity of Bobble Hats. Usually, the gangs would cut the bobbles off and choose patterns that signified the team that they supported (which was decided by their religious views). At the same time, the Deerstalker hat accompanied this furry hunting attire — a marker often associated with Sherlock Holmes. Certain working class fashionistos also began to make the bold statement of wearing fur coats (often fake), as an accompanying status symbol. Lucky for us, these ill-fated choices have not had the fortune of surviving in the world of contemporary fashion design or practice. For the younger kids on the block, the Polo shirt was the underhand staple that gave these lanky lads the robust structure that they so desired. Not unlike shoulder pads, Polo shirts are prized for their ability to add that angular touch of masculinity to one's scrawny frame. Of all the brand choices — the Awaydays generation was fond of Fred Perry and his simplistic array of practical (sports-inspired) goods. 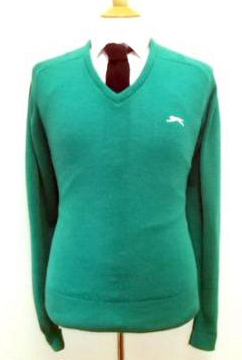 This first layer would reside under the Slazenger V-neck, which helped articulate a sense of poise that was chic, without ever seeming overtly noble. Despite an affordable communal ethos, many of the brands associated with the Casual generation existed out of the price range for many of those who aspired to be the ‘cool' cult. This meant that knock-off labels began to permeate the market place, pioneering a subversive backlash towards mainstream dress culture. However, at the time, those ‘caught' hording such knock-off brands would usually shudder in shy embarrassment, if such news were revealed. Lucky for us, frugal cultural practice has given rise to a genuine societal shift, which has seen the rise in designer outlets, large scale discount depots and reasonably/cheap priced high street brands from H&M to Primark (in the UK) that have encouraged a thrifty culture that thrives on bargain hunting. With all these elements at hand, the final touch for the nostalgic hipsters was a sweeping fringe and occasionally, a leather jacket to top off the ensemble. 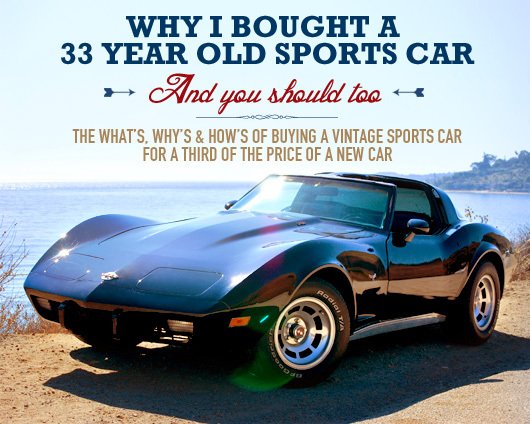 To many of you, this information will be standard knowledge. After all, finding the ‘balance' between dressy and comfortable is a feat that most men will have grappled with at some point in their lives. Still, I thought it would be interesting to trace the roots of this so-called culture, to evaluate its origins and to help begin a dialogue surrounding the importance of fashion to the various subcultures that exist around us. Hopefully, some of you will be excited about uncovering the background of both local and global fashion culture.